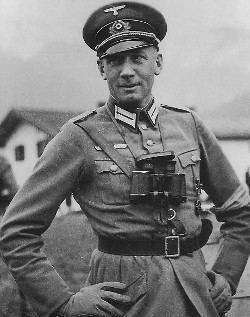 Karl Hans Maximilian von Le Suire (8 November 1898 – 18 June 1954) was a German general during World War II who commanded the XXXXIX Mountain Corps. He was responsible for the Massacre of Kalavryta. In November 1943, the German 117th Jäger Division began a mission named Unternehmen Kalavryta (Operation Kalavryta), intending to encircle Greek guerrilla fighters in the mountainous area surrounding Kalavryta. During the operations, some German soldiers were killed and 77 of them, who were taken prisoners, were executed by the Greek guerrillas. 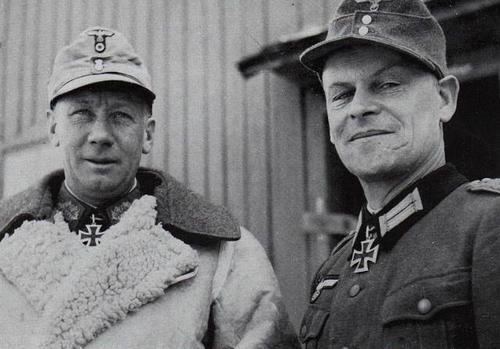 On 10 December 1943 von Le Suire signed the order for the German division to "level the locations Mazeika and Kalavryta". In total, more than 1200 civilians were killed during the reprisal operations. About 1,000 houses were looted and burned and more than 2,000 sheep and other large domestic animals were seized by the Germans. The event is known as the Massacre of Kalavryta. Le Suire surrendered to Soviet troops in May 1945. He died in Soviet captivity on 18 June 1954 in a prisoner of war camp at Stalingrad.